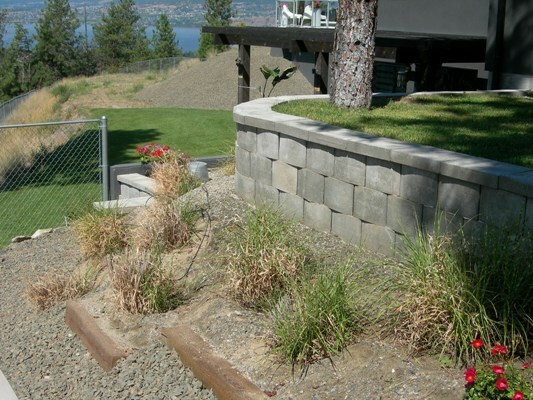 This is THE one-block retaining wall sytem! 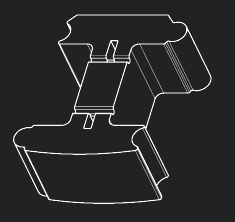 You were wondering about the shape of THE-BLOCK®? After years of being involved in the precast concrete/landscape business and listening to the concerns of the retaining wall installers, we felt there was a definite need to design a system that is installer friendly! 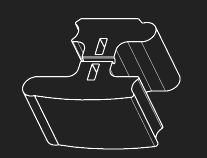 Our approach was to design a one block system that locked side to side and top to bottom, addressed multi-batters (a positive five degree or ten degree locked set back), lead and lag (position of the blocks as radius changes), infinite radiuses (small and large corners), infinite inside and outside radiuses (inside and outside corners), and three to four blocks to make a tight ninety degree corner. To this we incorporated a reasonable working weight per block and a rebar groove for masonry construction. Also, on top of THE-BLOCK® retaining wall you can build a THE-BLOCK® fence, using the same blocks, making the perfect integration. Finally, the smooth finish of THE-BLOCK®. Our thought is to keep it simple, functional, user friendly and less expensive. We hope it can work for you! Canadian Patent # 2,438,560 - United States Patent # 6,745,537 - Copyright (c) 2012 the-block.biz. Kokopelli Ventures Inc. All rights reserved.Design by CSS Templates.